1. 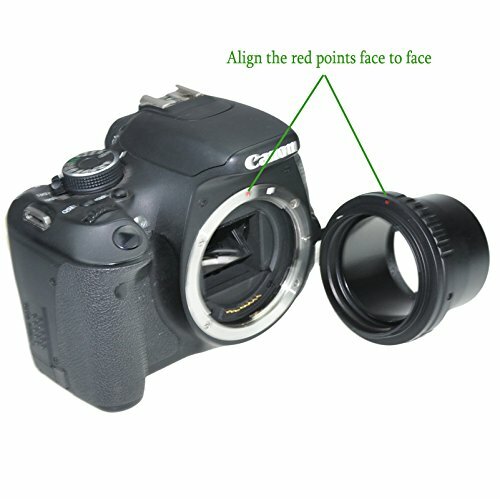 This adapter is specially designed for 2" prime focus. It features large 45mm through-hole which allows more light to pass. And it takes you directly from the cameras bayonet mount to a 2" Barrel with as few wasted photons, thus getting the largest clear aperture of any adapter on the market. 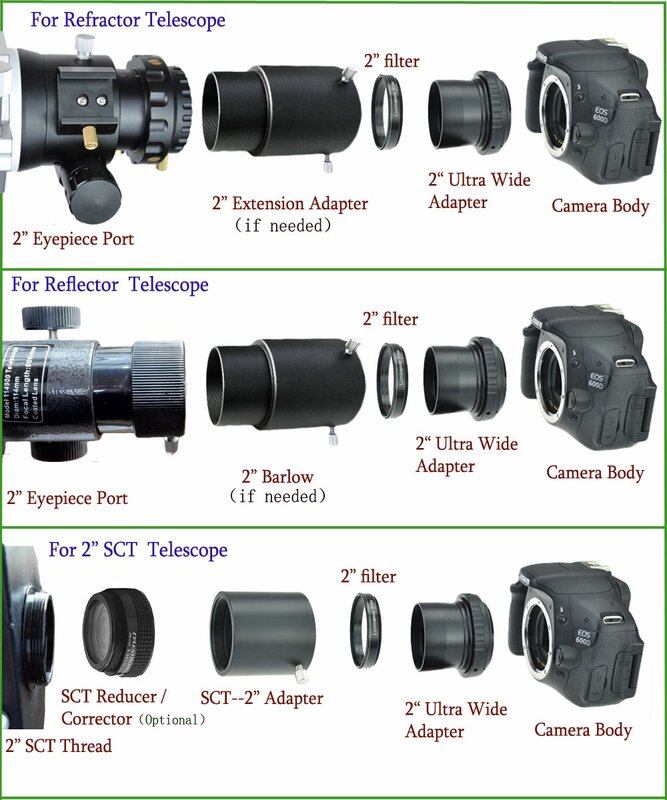 2.The adapter uses standard 2" barrel size which fits 2" telescope focuser or other accessories. 3. It is threaded for Standard 2" Eyepiece Filters (48mm) (threads inside tube). 4. The baffles is machine-threaded and anti-reflection painting process to reduce internal reflections. 5. All metal construction. Anodizing Aluminium process. Fits all Nikon DSLR cameras: D1, D2, D3, D3S, D3X, D35, D4, D40, D40X, D50, D60, D70, D80, D90, D100, D200, D300, D300S, D600, D700, D750, D800, D800E, D810, D3000, D3100, D3200, D5000, D5100, D5200, D7000, etc.